Where is "Sanchome" of the film "Always Sanchome-no-yuhi"? In April 1958 Tokyo Tower was under construction. The film "Always Sanchome-no-yuhi" reproduced the street views of the 1950s using computer graphics. A Japanese film "Always Sanchome-no-yuhi", released in November 2005, was one of the best seen Japanese films in the year and awarded with several prizes in Japan. The success of the film was almost guaranteed by the popularity of the original manga and luxury casting. However, the more essential reason was that the film hit the vague feeling of the people that we were happier in the Showa Period (The reign of Emperor Showa: 1926-1989) in particular around 1960 just before the start of the Japanese "economic miracle". Though we were still poor at the time, we did not have to worry about air raids any more, warm and intense human relations were still intact in the family and in the neighborhood and we could enjoy the first generation of industrialized household quipments such as black-and-white television, electric washing machine and small passenger car. We firmly believed that we had a bright future. A sort of nostalgia for the early post-WWII period is shared by baby boomers (born between 1947 and 1949). In Japan baby boomers have been influencing the life style of the whole nation because of their overwhelming number. They spent their childhood during Japan's postwar rehabilitation period, experienced epoch-making events such as Tokyo Olympic Games (1964) and Osaka Exposition (1970) during their youth and organized the last and largest student movement peaked in 1968. Then they became the central force that propelled the Japanese economic development and initiated a new life style free from traditional burdens. However, they were now about to retire and the recent stagnation of the Japanese economy and society do not allow them to innocently enjoy the retired life. In many families the workaholic lifestyle of fathers has destroyed the family's bond and retirement is sometimes coupled with the dismantling of family. When retired fathers go out of the family, they find that they are aliens in the neighborhood. 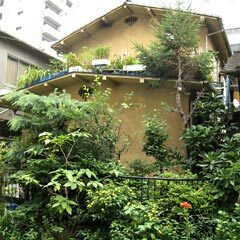 In the backstreets of Toranomon, there are still some old wooden houses. Here modern office buildings are seen in their background. We can hardly see Tokyo Tower from Toranomon-sanchome (right). The scenario of "Always Sanchome-no-Yuhi" (*) is rewritten based on several stories of the original manga. As I have not read the original manga, I am not exactly sure how they are integrated and what the differences are. As far as I know, Mutsuko, a girl working at Suzuki Motors in the film, is in the original manga Rokuro, a boy. I don't know why the official English title keeps the latter part of the Japanese title "Sanchome-no-Yuhi" untranslated. "Yuhi" means "setting sun" and "sanchome" is a part of address in Japan. 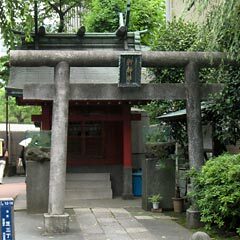 Most Japanese streets do not have names and Japanese addresses are decided after the areas such as Toranomon, Shiba and Mita and areas are divided into blocks which are usually called "chome" with number in front of it. 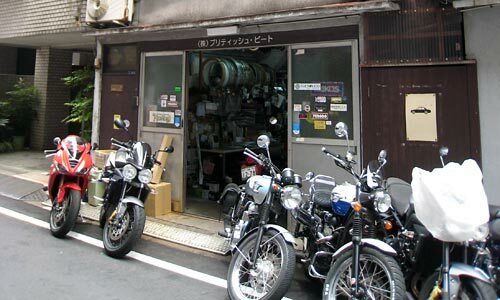 "san-chome" means "third block". Therefore, "Sanchome-no-yuhi" means "Setting sun seen from third block (of certain city-area)". Anyhow, the story "Always Sanchome-no-Yuhi" unfolds itself while Tokyo Tower is under construction. The film maker explained that the story was only a fiction and the setting was conceived with "Atago area" next to Tokyo Tower in mind. Despite of this official explanation, Atago area does not perfectly fit in the scenes of the film. First there must be a tramcar line in the main street. But, there was no tramcar line in the Atago area. There used to be tramcar lines in two of its neighborhood streets Sakurada-dori and Hibiya-dori. Granted that the setting was not directly in Atago but in its neighborhood "Toraomon Sanchome", which faces a tramcar line, I am not much convinced by this idea. 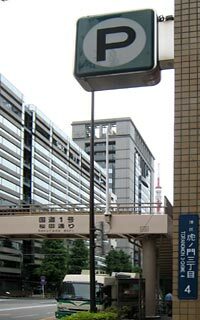 As far as I remember, Toranomon Sanchome was a quiet residential area for rich governmental employees as it is just a few minutes walk from Kasumigaseki, the area where most of the ministries existed and still exist. Sakurada-dori including its stretch in "Toranomon Sanchome" is now filled with office buildings. 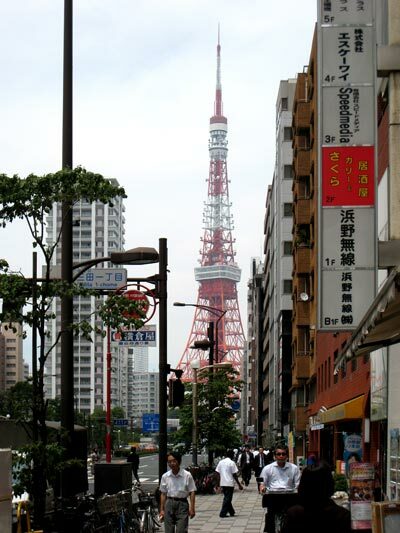 It is not easy to see Tokyo Tower from there and feel the world of Sanchome no Yuhi. If we trust the scene when Shinichi brings Mutsuko back home in his tiny car, Sanchome must be in the south of Tokyo Tower, because spectators see the sunny side of Tokyo Tower and Shinichi's car comes from the Tower's direction (see the photo on top of this page). Unfortunately the western side of Sakurada-dori, where Sanchome must exist, is by now developed elegantly and occupied by embassies and big companies and we can hardly trace the atmosphere of Sanchome. residential houses and backstreet workshops. The atmosphere perfectly fits the "Sanchome" in the film, doesn't it? Therefore, I want to propose a new theory; "Sanchome" existed in Shiba. Please check the photos I took there and consider my new theory! ?